While the saying goes, “there’s no such thing as a dumb question” we all know it’s false. There are dumb questions. But when you are new to something that has its own jargon, knowing what words to use is your first battle. And when dealing with legal stuff, that jargon is even more intimidating. 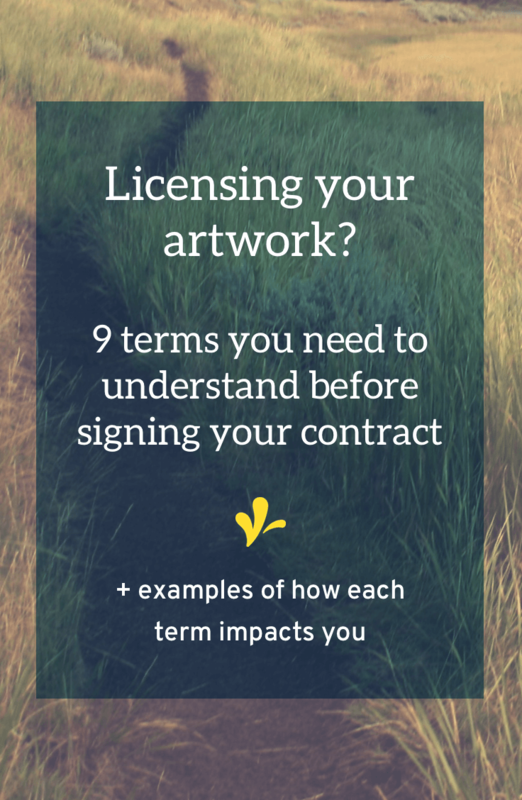 I don’t want you to feel dumb by asking, “Umm…what does X mean?” So I’ve compiled 9 common terms that crop up in an art licensing agreement and translated each of them for you. Defined: When the owner of intellectual property gives permission to someone else to use it. Example: When you, the artist, give a company permission to use your illustration on a product line. Defined: The one who gets permission to use someone else’s intellectual property. 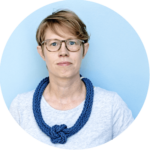 Example: The company that you allow to make products using your illustrations. Defined: The one who grants permission to someone else to use her intellectual property. Example: This one is just referring to you. Example: You grant a company a one-year U.S. license to use your illustration on iPhone cases. Defined: A payment made to the licensor for each copy sold. Royalties are often paid either based on sales numbers or the number of units sold. Example: If your license specified a 10% royalty rate against sales of $1,000, you would earn a $100 royalty. Or if your license specified a $0.50 per unit royalty and 100 units were sold; your royalty would be $50. Defined: Royalties paid based on sales numbers are usually calculated on a gross or net sales basis. Example: As before, if your license specified a 10% royalty rate against gross sales of $1,000, you would earn a $100 royalty. But if you were paid a 10% royalty rate against net sales. You need to know both the gross and net sales. If the gross sales were $1,000, but the net sales were $600, you’d earn $60. 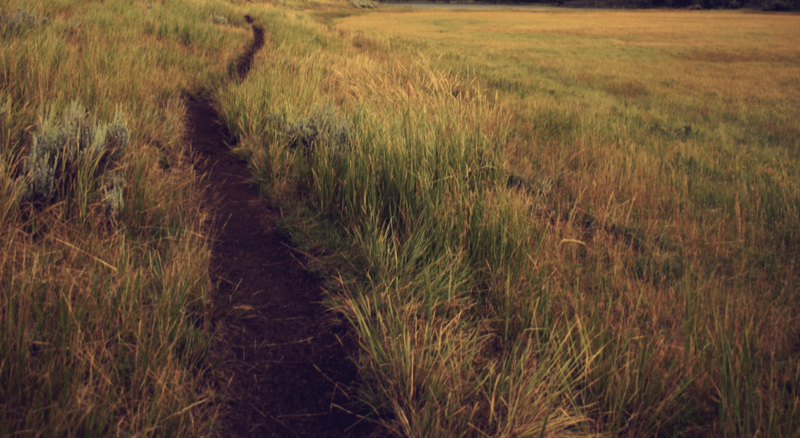 As a side note, what deductions are allowed is an important clause in your contract. 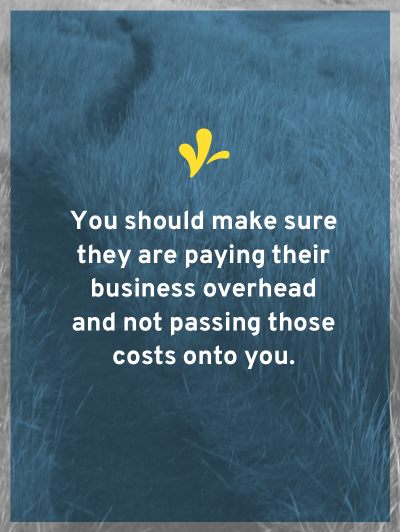 You should make sure they are paying their business overhead costs and not passing them onto you. Defined: A single payment made at the signing of the agreement. With this type of license you are not paid a royalty. Example: Rather than being paid on an on-going basis as products are sold, this type of license gives you full payment up-front. For example, if you sign a license paying you a $1,000 one-time license fee, that’s all you’ll earn. Regardless of if they sell 50 units or 5,000 units. Defined: An upfront payment of royalties given at the signing of the agreement. Royalty payments will be withheld until earned royalties exceed the advance. Example: You sign a license agreement giving you a 10% royalty rate against gross sales with a $2,000 advance. The company is required to report sales to you on a quarterly basis. Quarter 1: Gross sales are $500. Your royalty is $50. This is deducted from your advance, so you still need to earn $1950 before being paid. Quarter 2: Gross sales are $3,000. Your royalty is $300. Now you are down to $1650. Quarter 3: Gross sales are $10,000. Your royalty is $1,000. Now you only need $650. Quarter 4: Gross sales are $12,000. Your royalty is $1,200. You’ve now recouped your advance and will be issued a check for $550. Defined: The minimum amount of royalties that you will be paid for any given period. These might be paid up-front (similar to an advance) or at the close of each period. Example: You sign a license agreement giving you a 10% royalty rate against gross sales with a $2,000 guaranteed yearly minimum. The company is required to report sales to you on a quarterly basis. Quarter 1: Gross sales are $500. Your royalty is $50. Quarter 2: Gross sales are $3,000. Your royalty is $300. Quarter 3: Gross sales are $5,000. Your royalty is $500. Quarter 4: Gross sales are $7,000. Your royalty is $700. Because the minimum was not met, you’ll get an additional payment of $450. 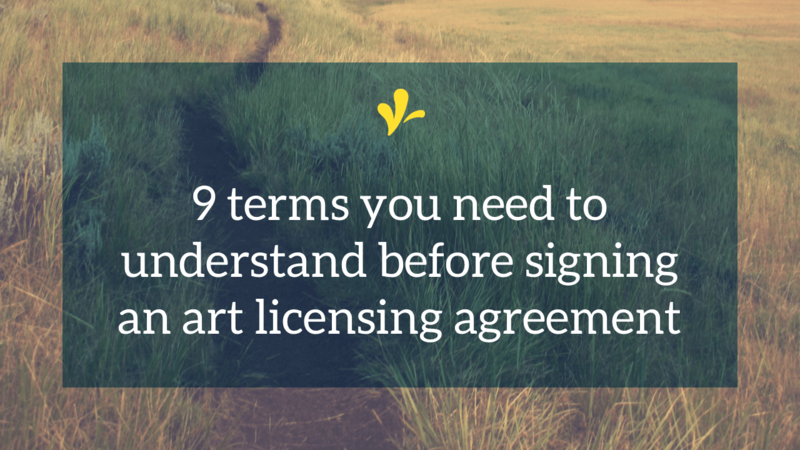 Does that help you understand what those terms in your art licensing agreement mean? Are there other “dumb” questions that you’d like answered about licensing agreements? Let us know in the comments below. the artist’s Courtyard is your one-stop legal library + community. One of the benefits will be a legalese translator, just like this. It breaks down legal jargon terms, so you know exactly what they mean. Click here to learn more about the artist’s Courtyard and to join us!